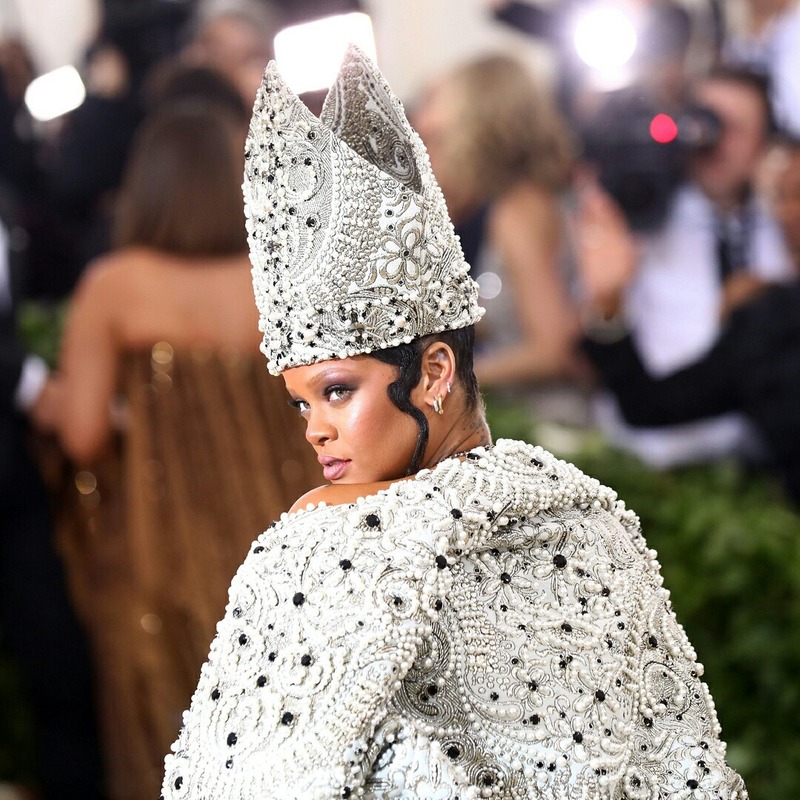 Met Gala 2018 heated up with the theme “Heavenly Bodies: Fashion and the Catholic Imagination” out at the Metropolitan Museum of Art Costume Institute. So many different looks and styles. There were some hits and misses but I’ll let you all decide. My favorite look of the night was Rihanna hands down. Rihanna per usual strolled on the carpet with her effortless poses wowing the photographers and onlookers. Stunning in her John Galliano custom piece serving! Rihanna and Galliano were the hosts of this year’s Gala. Serval celebrities were in attendance. Cardi, Imaan Hammam, Darren Criss, Zac Posen, Tessa Thompson, and Janelle Monae, Solange, and Lili Reinhart are only a few in attendance. Some of them gave fierce looks and others not so much. Take a look!